For the international traveler or expatriate who considers themselves a worldly shopper, get thee hence to Turkey. More specifically, the city of Istanbul. As the last stop on the ancient Silk Road, spices have been a way of life since the 1600s. You like curry? They sell curry, and more! Peruse the mountainous piles of dried herbs, plants, and holistic remedies not found elsewhere on this planet. And when you decide to take a break from the breathtaking cultural splendor that is Istanbul, head for any restaurant and prepare to have your taste buds tantalized with local ethnic dishes prepared with those very same spices. Spiced out? Head for the fish bazaar or, Balik Pazari, to use the local lingo. Octopus, calamari, prawns and more are guaranteed the freshest to be found. Then it’s on to the Grand Bazaar (Kapali Carsi), and who hasn’t heard of this? As one of the largest covered marketplaces in the world, the Grand Bazaar covers 58 streets, 1200 shops, and handles an estimated 400,000 shoppers daily. If you can’t find what you want here, brother, chances are it doesn’t exist. 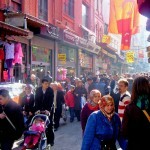 This marketplace traces its origins to 1455 and is a microcosm of Turkey itself. Jewelry, pottery, carpets, and spices are but the tip of the iceberg. 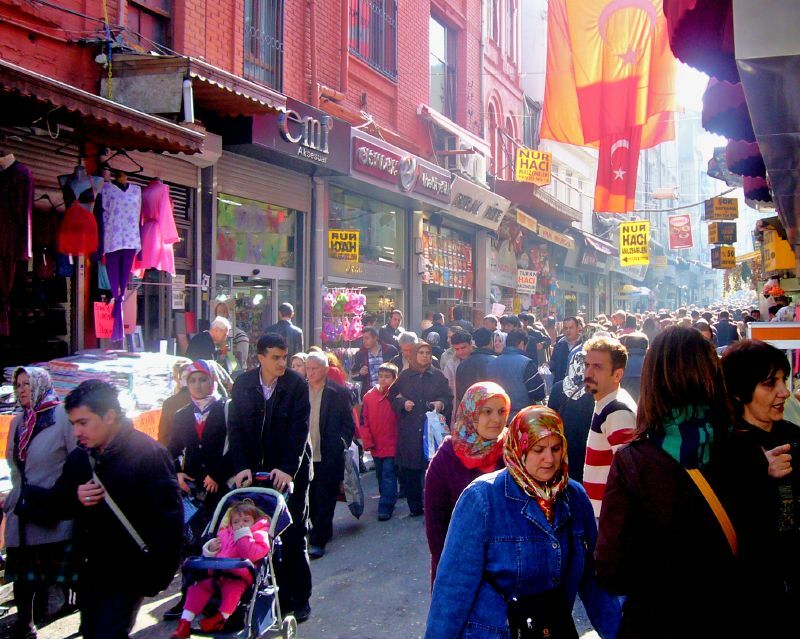 Sharpen your elbows and polish your bargaining skills because it’s a way of life at the Grand Bazaar. Pushy salespeople? Absolutely! Be prepared to push right back. Haggling is part of the culture. If you want to really insult them, go ahead and pay the listed price. If this crossroads to the Orient sounds like your cup of tea, plan a visit to Turkey. You might love it and you might hate it but, in this world, tangible items come and go. It’s the memories that remain.